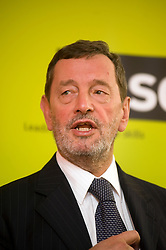 David Blunkett born 6 June 1947 British Labour Party politician Member of Parliament (MP) for Sheffield Brightside and Hillsborough from 1987 to 2010. 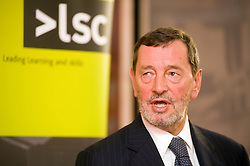 Blind since birth, from a poor family in one of Sheffield's most deprived districts, he rose to become Education Secretary in Tony Blair's first Cabinet following Labour's victory in the 1997 general election. 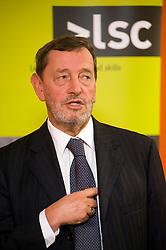 Became Home Secretary following the 2001 general election, a position he held until 2004, when he was forced to resign following the revelation of an affair Blunkett was having while serving as Home Secretary. 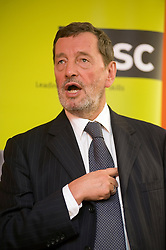 Following the 2005 general election, he was appointed Secretary of State for Work and Pensions, but was again forced to resign later that year following the release of a series of reports about his external business interests during his brief time outside the cabinet.